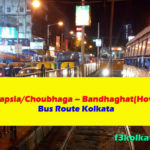 Here are the details of Kolkata Bus Route no 3C/1-Kasba(Bose pukur) – Nager Bazar. 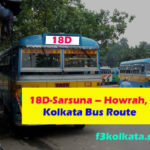 This Bus Route Originates its journey from Ruby, Anandapur Bus Stand. then it covers some prominent localities in Kolkata like Gariahat, Minto Park, Park Street, Esplanade, Moulali, Nirmal Chandra Street, B.B. Ganguly Street, Raja Rammohan Sarani, Maniktala Bazar, Shyambazar, Jessore Road, etc. Then it terminates at its destination at DumDum Nager Bazar. Again the bus route no 3C/1 starts its return journey from DumDum Nager Bazar Bus Stand and ends its journey at its destination at Ruby, Anandapur. 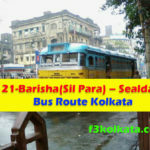 For more details of 3C/1-Kasba(Bose pukur) – Nager Bazar, Kolkata Bus Route, please see the below table. (On return journey via S.N.